Time for longer evenings, cooler weather, and more indoor gatherings. 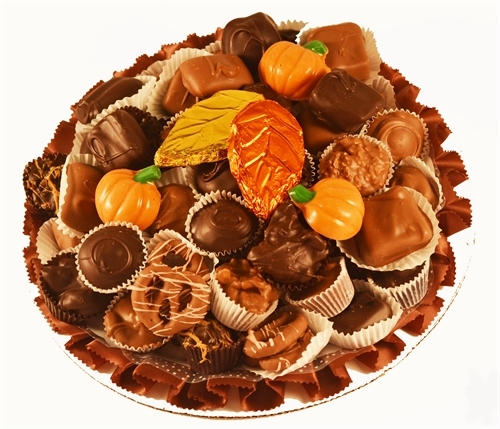 And what could make them cheerier than a wonderfully cheerful, hand-crafted tray of chocolates from Dorothy's Candies? Our artisans assemble each one -- so no two trays are exacly alike. Colorful candies for the season make Dorothy's party trays the pefect bring-along for any family gathering. From Halloween to Thanksgiving, Dorothy's autumn trays alter to reflect the season. From Anonymous of ithaca, New York on 12/6/2014 .